Rakitic admitted that the dramatic draw against Sevilla in the Ramón Sánchez Pizjuán stadium was still fresh in their minds. “Each game is different but we have to have a look at the game. We are up against one of the best teams in the league in the final,” said the Barça number 4. The Croatian said the team are focused on just one goal and are not thinking about a possible double. “I don’t like to think beyond [the final]. What will come after, will come. First off, we have to focus on the final that we want to win. But, it is true that to finish the season with two trophies would be a spectacular success,” admitted the midfielder. 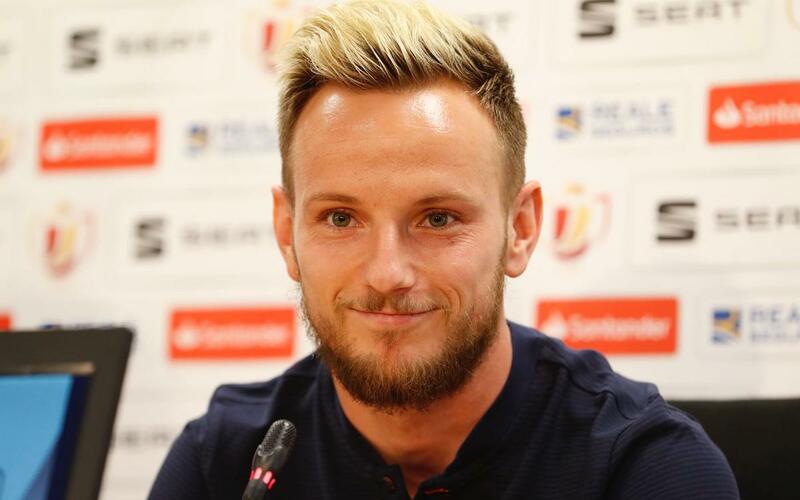 On facing his former team, Rakitic confessed that he had spoken to his former team mates, at the same time saying that he always looks forward to playing against Sevilla. Finally, he had words of encouragement for Jasper Cillessen who looks set to start in the final of the cup competition. “We have the best keeper in the world in Marc-André ter Stegen but we know how important Jasper Cillessen is. He is the best goalkeeper in Holland and that fills us with confidence. I can remember several vital saves in this competition and he deserves to claim a winners’ medal,” concluded the Croatian.